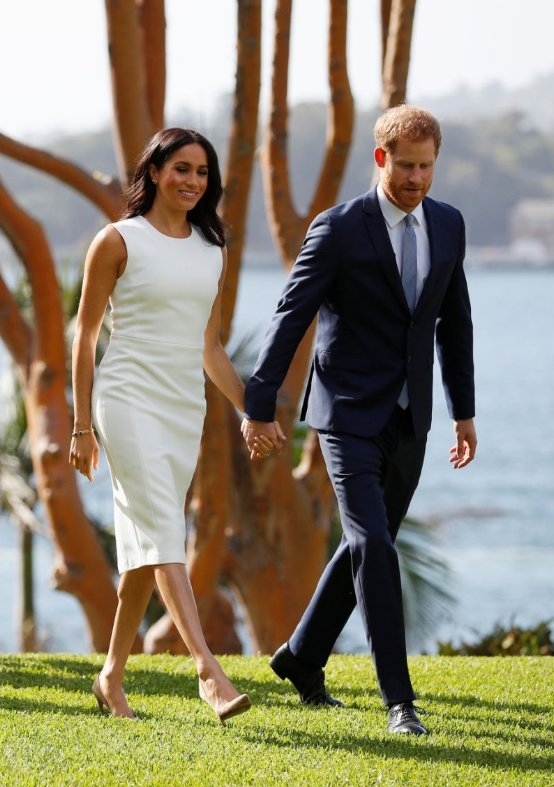 WTN- For her first appearance in Australia since announcing her pregnancy, Meghan Markle wore an outfit created by Sydney designer Karen Gee. Gee’s website crashed shortly after the Duchess of Sussex was seen in the “Blessed” dress due to growing number of visitors. Sydney designer Karen Gee. The 2011 winner of the Mrs Australia pageant, she launched her clothing label in 2013.